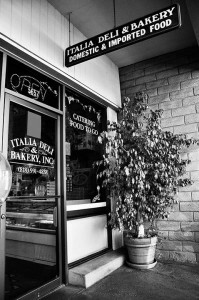 we bake the best Italian rolls and bread…from scratch! Get them hot! Get them early! Hungry for a sandwich? Try one on a “hard” roll. 25-Year-Old Balsamic Vinegar, Imported Olives, Italian Beer and Wine. Do you miss those Italian Delis in New York? Our Deli section will take you back. We showcase meats and cheeses like Prosciutto Di Parma, Mortadella, Boar’s Head Brand® Turkeys and Hams, Reggiano Parmigiano, Aged Soresina Provolone, Pecorino Romano, fresh caprese and much more.